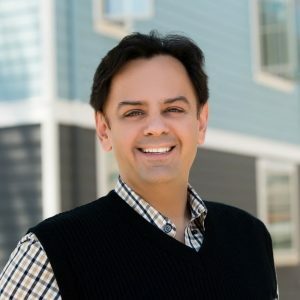 Neal Bawa is an engineer whose technology education company was so successful that he sought out real estate investing as a means to reduce his tax burdens. Applying scientific principles, Neal quickly grew his real estate holdings to over 1,000 units worth more than $111 million. 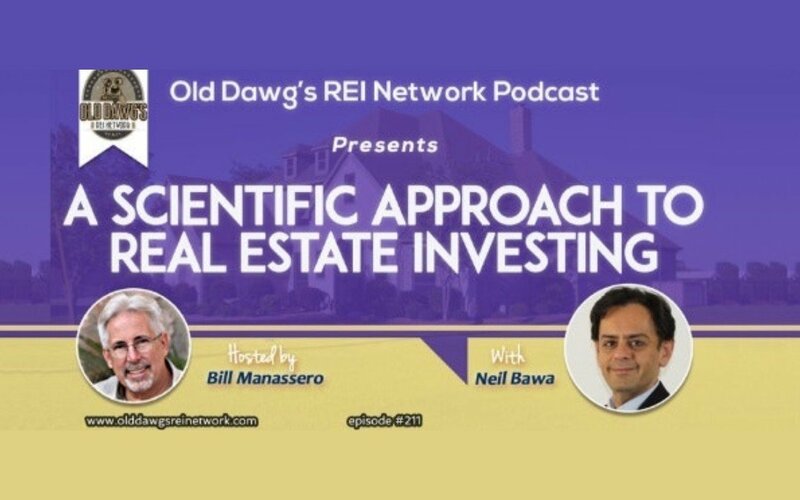 In this episode, Neal shares his unique real estate investing approach and some of his secret tricks that continue to yield him significant wins in a very tight and competitive real estate market. Neal considers himself as not a real estate royalty nor a broker, but he is a technologist, a Computer Science graduate. He has run a technology education company for 17 years. As the company grew, he had the opportunity to buy and build real estate for the company – commercial spaces he was building as classrooms and offices. Neal’s education business is a degree granting business on the healthcare education side and was a technology business for corporations. His company taught everything from programming to networking, to Cisco engineers. Neal is in the business of education, thus the transition into teaching was very seamless. And he was teaching in his own classroom in his own business. How did Neal Got Involved in Real Estate? When the 2008 recession hit, Neal, as a mathematician, could not see the gloom and doom that everyone was talking about during the crash. However, he did not see the downside but, instead, he saw the real estate opportunities. So, he bought 10 units in Madeira, CA, which is the maximum you can buy for the number of traditional residential mortgage loan. He rented the homes out and was dazzled by the return that he was getting. Because his properties are all cash flowing and his own company was also growing, he wanted to reinvest and build more passive income. But he was maxed out on the number of mortgage loans he could have. This was the time that he discovered about multifamily passive syndication and decided to learn more about it. He started investing with different multifamily syndicators across the U.S. on different types of properties – hotels, student housing, but mostly multifamily. Neal began attending property management and other operational phone calls where he began to pick up very interesting pieces of information. From those calls, he discovered a secret! Participating in many different syndicator calls, he discovered that different syndicators were good at certain things – some on buying, some on selling, some on rehabilitation, some on managing property managers – but no one was good at all! From the calls, he was learning what it took to be good at each area. Suddenly, he felt empowered with information. Overwhelmed with his feeling of happiness, all of a sudden it turned into terror in that he was afraid he would forget what he had learned. Neal knew, as an educator, that the best way to learn is by teaching. Quickly, he opened up his own multifamily meetup group so as not to forget what he was learning. He told people who attended the meetups that he hadn’t really bought a multifamily but was learning directly from the different syndicators. The goal was to attract 250 people members, and is today at 3,000 and growing. Once he bought his first multifamily, he would tell people that he is a small guy and only bought 12 units, but he had passively invested in 2,000 units and was learning from the syndicators. He started to teach more often, teaching on webinars — the audience became national, and then started to teach multifamily boot camps. Neal, fascinated by the scale in apartments, he created a specific group through Meetup.com that was very specific for multifamily, which is called BAMF (Bay Area Multifamily) Real Estate Investing Meetup. Because he is the COO of his technology business, his focus is to grow companies, revenue and profitability. So he focuses on things that have scale and gets rid of things that don’t. What does a fast growing business and multifamily real estate have in common? Scalability! So when he looked at apartments, this is one type of real estate where scale really matters. Therefore, with his real estate activities, he set processes in place that will not only work for a hundred units but will also work for 10,000 units. When Neal started teaching, he was not teaching syndication but was teaching how syndication works for passive investors because, obviously, he was a passive investor for all these syndication and he knows the basics. In his meetups, he would share what he is doing for his triplexes, with about 35 tenants, within a 10-mile radius. He shared the problems he encountered. When he bought his first larger multifamily property, around 237 units, he started telling people about the problems he encountered with that property. Focused many of his topics on things that went wrong and on the things that they did to fixed them. Because he was stumbling his way through these things, people really enjoyed that. So when he started the meetup, he only had 20 people who showed up. Within a few years, a hundred of people showed up, and he was actually teaching inside his business. He was telling people that they were standing in the college that he built and this is the first building that he ever built. And this is the business that he sold to enter the real estate. While Neal was teaching, people were watching how he migrated from being a passive to an active real estate investor. He believed the story resonated with a lot of people and that the group sort of exploded (he added a couple of hundred members each month). Last count is almost 4,000 members. John has real estate experience, has syndication experience, and realized that Neil had a skill that he was missing – larger scale operational experience. Neal was running a business with 350 employees, had the operational and marketing skills that John Mark Lando didn’t. They started to partner on new projects and they did several syndications together. The process of phasing out of technology and phasing into real estate was fairly long but also very seamless. It just sort of happened organically. Ended up becoming a multifamily syndicator and ended up with more than a 1,000 units and a portfolio of over $100 million. Neal gravitated toward large multifamily investing because this is the specific area where he found professional metrics-driven processes and higher quality of teams. 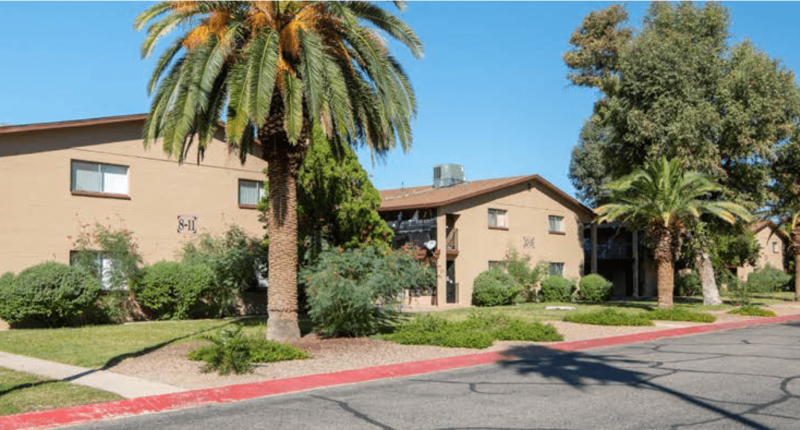 Large multifamily has professional full-time managers, underwriters, operations directors and operational staff to oversee the management of assets. This insures that the property managers are always being held in check. This way, you are supervising them at a very close level and not allowing them to waste their time on other properties — to stay focused on yours. Neal has invested in gas stations and even technology companies but those businesses didn’t have the same degree of accountability. However, Neal also discovered that some syndicators were not “data driven” when in came to market area investments. When Neal asked syndicators’ their reasons for investing in a specific market area he found that their reasons are mostly tied to the fact that the property is in an area that is local, where they have contacts (or teams in place) and that are familiar to them. He was hoping they would say “That, after studying 88 different markets nationwide, we found that, after using these metrics to determine a quality city, this area came out on top.” That would be the technological or scientific approach to determine where to invest. He concluded that most syndicators were lazy and were only investing in markets because they were familiar or comfortable with the markets. So, Neal decided to figure out, how one can figure out what are the “best and worst markets in the U.S.” Thus, he started teaching an event – The “Real Estate Trends” event. “Real Estate Trends” event is one of Neal’s most popular events with 2,000 people a year coming to the event. This is where Neal will slice and dice every metro in the U.S. and share with investors which markets are the best to invest in and when. What are the metrics that we look at when we try to determine the quality of the cities and neighborhood? At what point to exit the city and which point to enter that city? How do you look at that data? How do you slice and dice that data? How to use it for multifamily? This event really changed the way Neal did his syndication. Everything became data-driven. Analysis – That’s a 3% income level, but home prices are growing up by 9%, that gap of 6% is where the apartment syndicator comes in. Here is the opportunity for multifamily syndicators! Sooner or later, every single month, as home prices rise, there will be some people whom can no longer buy. They will need to rent! This is the market that Neal is addressing as a multifamily syndicator. Neal teaches a multifamily meetup where he teaches investors how to manually assess a market. The boot camp is where Neil teaches the whole process to anyone who actively wants to buy and rehab multifamily properties. How to find the property? What are the best cities? Neighborhoods? How to find property managers? “LMM (Local Market Monitor)” by Ingo Winzer, match data as that of Housing Alert on a local level. Subscription is $900. “Neighborhood Scout” ranks neighborhoods within a city, gives crime statistics, investment rate ranking, tells risk level in investing in a specific neighborhood. “Co-Star” owns LoopNet, apartment.com and is used by professionals who buy multifamily. Subscription is $32,000 a year. It puts over 500 million pieces of data into the software every year. It is extremely rare for a metro to be in all 3 buckets at the same time. That is just not how real estate works. For 2018, one metro in the U.S. was in all 3 buckets, and that was Sacramento, CA, which is benefiting from the fact that people are fleeing the San Francisco Bay area because of high prices. Neil always looks into metros that are in 2 of those 3 buckets – the price growth category and the rent growth category (just for the reason that he is not into the fix & flip market). If you see metros in both sides, you are ahead of everyone else because you have done something better than 99% of real estate investors in the U.S. Some high quality metros that show up on these lists are Dallas and Orlando. And smaller metros like Ogden, Utah also show up on those lists. 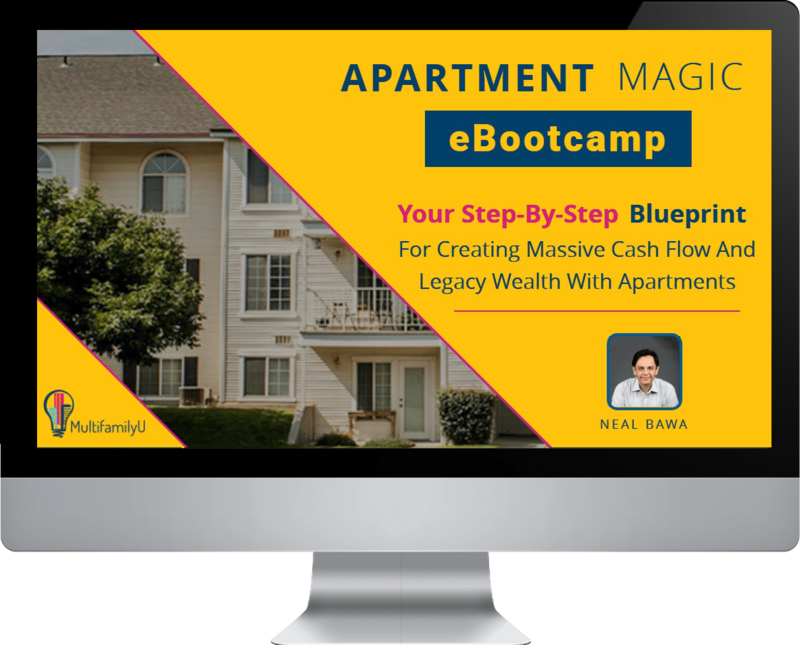 This is an amazing opportunity because you are really gaming the system if you are able to pick up that information once in a year and use it for single family or multifamily investing. You can get an 18-month advance knowledge of which metros are going to be hot once you subscribe to the data. If you study single family property price increases, you are going to see the multifamily opportunity follow 18 months later. This is because, in a metro, you can see huge price increases. Nobody really wants to live in an apartment. People prefer to buy homes or rent homes. When you see huge home price increases, for a while, you won’t see the opportunity for multifamily. But eventually, if prices increase at 9% a year and income is increasing at 3% a year, a gap is opening up. That creates opportunity. You are not trying to find the best markets in the U.S. because in the year 2018, there is not enough inventory in the U.S. to pick just one market. You need to pick multiple markets. You are trying to find a series of market buckets. Start looking at the population growth. He has yet to see a market in the U.S. where population growth is stable or declining. There are instances where the population growth is slow even if it is a great market – but it is quite uncommon. Most of the time, population growth is the quickest way (5 minutes of research on the web) to figure out whether you should look at that market. Example: Detroit has had very heavy population losses for over 50 years except for the last 12 months. He would not invest there! People have been saying Detroit is turning around since the 60s. Went from 1.5 million population – less than 500,000 today. If the population is stable, and the other three numbers – rent increases, home price increases, income increases – are stellar, the market is definitely worth looking at. Because it is a market that will have some bargains because the population growth is not here. If those three numbers are stellar, population is assured in the future. People will follow the jobs. Why is Seattle on the top of “Best Market” lists? Best market for fix and flip as well as San Francisco Bay area. Good market for new construction with a 24 month window. It still has the ability for rent appreciation (rent appreciation trails price appreciation), but it will not cash flow well. But it cannot maintain its appreciation curve since it has appreciated so much. He did not apply any data analysis to his initial properties. He basically just believed brokers, partners, and did no research. Ended up with a property in a rough neighborhood of Chicago. Neal applied all of his marketing strategies to fill it up and was successful. Signed 200 leases in a year through a marketing team that he built in the Philippines and India. Despite the fact that he can have armies of people in the Philippines and India leasing up his property 3 times as fast as anybody else, he is still subject to the demographics of an area – the one thing that he couldn’t get beyond in the realm of multifamily. This is when he determined that he has to be an expert in demographics. If he is buying in a good area, he will buy at a price higher than other people and then he will optimize it so he can make the money. But, it f he is buying in an extremely rough area, no matter what he can do, no matter what marketing he applies, no matter what buttons he pushes, the attrition and the delinquency will always defeats you. In the Philippines, the efficiency is 2 to 3X the efficiency in the U.S.
Understanding something that everyone in commercial real estate should understand — that cap rates allow you to take a dollar of revenue and multiply it. However, the vast majority of people don’t apply that to every property and project within that property. For example: a person has a 250-unit property and they have 40 extra covered parking slots to sell. He can sell them for $25 per month. That’s $1,000 per month and $12,000 per year. At 6.5% cap rate, that’s $180,000 in profit for investors. All from $25 parking spots. His ability to look at the problem and immediately calculate the amount of profit that he will make when a property sells. And a small number becomes a large number very quickly and able to assign resources to it. He can quickly do mental math in his head and take tiny little projects, assign resources to it that the average property manager would never be able to assign because they feel they are not paid enough to do this little things. He recognizes that he can assign staff in India and the Philippines to do these things because the multiple that he gets are so huge that he can’t possibly lose. In today’s market, you aren’t going to find properties that are 10% below market. Optimization works 100% of the time. His focus is on operational excellence as opposed to finding super properties. Visit Neal’s website – multifamilyu.com and watch the real estate trends. Neal will tell all market in the U.S. he is investing in. It is a free webinar. Watch the webinar. Learn what people like Neal are doing. At least it will direct you to the right cities. If you want to learn at a neighborhood level, the webinar will help you. If you want to learn the specifics of it, attend Neal’s Multifamily boot camp. It is all about learning. But don’t do it, if you are not willing to get into the weeds. It is for people who want to put time and effort in multifamily investing. It is not passive investing. You should be able to roll up your sleeves and get down in the ditch with your property managers and fix problems and create value by improving properties. If you are new to multifamily, and you haven’t done a lot of single family, start with 5 – 30 units. If you have done a lot of single family, start with 30 – 100 units. If you have enough investors, have connections with equity, then start at 80 units because you have a full time person at the property. Neal sees his business slowing within the last 18 months. Multifamily and stock markets no longer obey the rules of money. The rule of money, which has been in effect since 1930 when we changed the financial system – simple stated, that when interest rates goes up, cap rates should basically go up with it. And that means home prices should go down. In the last 18 months, the Federal Reserve has raised interest rates 6 times, that is 1 ½% increase, and we have seen zero impact to cap rates which continue to decline. A year and a half ago, Neal started got very interested in the impact of quantitative easing or QE on real estate. What it had done to warp real estate markets. He realized that federal reserves has pumped in $4,000 billion into the market between 2008 and 2011. That money is searching for yield. The bond market produces almost no return. So that money is slashing over into the commercial real estate markets, into single family real estate market and into stock market. And because this market produces a lot more than bonds do, real estate no longer obeys the rule of money. And until this money is withdrawn from this market, our historical cap rates are a very silly way to calculate what will happen to real estate. It is actually possible for real estate prices to go up another 25% or 30%. As long as the yield is 5% or 6%, because bond is only yielding 1% or 2 % and that $4 trillion will go anywhere and everywhere to look for yield. But there’s nobody withdrawing that money from the market. The European Union continues to add money. China and Japan continue to add money. We’ve stopped but we’re only withdrawing $10 billion a month – at which rate it will take us 25 years to withdraw that money. Until he sees that money go somewhere, Neal is bullish on real estate — even though it is a very expensive market. If you had to start all over, knowing what you know, and you only had $1,000 cash, what would you do to launch your real estate investing business? Help the people that have the highest urgency – the people who are seeking a 1031 exchange money who basically sold their property and are within that 45-day window. Source property for these people. For Neal, 1031 exchange is a phenomenal niche. Announcer: This episode of the Old Dawg’s REI Network is brought to you by Meno Studio. In a world where jobs are how most people make money, one man, one desire, one challenge dares to break the mold. Welcome to the Old Dawg’s REI Network, where we don’t work for money, money works for us. Coming soon, viewer discretion advised. Welcome to the Old Dawg’s REI Network, where cash flow is king. Real estate investing the means so you can enjoy your retirement dreams. This is the show where we cut right to the chase. No sales pitch, no long monologues, just simply how-to real estate investing advice so you can earn the passive income you need to enjoy your retirement today. And no, your host and chief Old Dawg, Bill Manassero. Bill: Welcome to the Old Dawg’s REI Network. I’m your host, Bill Manassero, and this is a show where 50-plussers—and anyone else who wants to join us—gets solid, no-sales-pitch real estate investing advice to help generate real cash flow. This podcast airs twice weekly on Mondays and Fridays and if you aren’t already a subscriber, go to iTunes, type in Old Dawg, spelled D-A-W-G, find our podcast and subscribe. Well, we’ve got a great guest with us today. We’re going to be speaking with Neal Bawa. Neal brings the extremely strong, strategic and operational experience to his businesses. He owns and manages an extensive multifamily and single-family portfolio of over 1,000 units in 7 U.S. states, valued at over $111 million. Neal speaks at multifamily events, IRA events, Meetups around the country and nearly 2,000 students have attended his multifamily seminar series each year and hundreds attend his multifamily bootcamps. He is a cofounder of the largest multifamily investing Meetup in the U.S., BAMF, with 3,000 members. He leads the company and is driving the syndication and acquisition of multifamily properties. Neal’s past experience includes 17 years of revenue, P&L experience as a senior most executive in a California education company with over 350 employees and 40 million in revenue. Well, Neal, welcome to the Old Dawg’s REI Network! Neal: Thank you, Bill. Thanks for having me. I’m very excited to be on the show. Bill: I don’t know if you qualify to be an Old Dawg though. You seem a little younger. I don’t know. Neal: I’m 46. It’s the yoga and the aerobics. Bill: [Laughs] Well, you’re definitely moving closer, okay? As you approach the Old Dawg status here, maybe you’ll just be a natural here. So, thanks for joining us and I’m real thrilled, as somebody here that’s actually aspiring toward 1,000 units, I really want to hear your story and love to hear just how you even got involved in real estate in the first place. Neal: Well, I can tell you in a very different way from most of the folks that you interview, Bill, I’m not real estate royalty. I’m not a broker, I haven’t flipped homes, I haven’t done any of those things that folks typically do. I’m a technologist, so a computer science graduate, ran a company for 17 years. It was a technology education business, brick and mortar, and while that business was running, I had the chance to buy and build real estate for that company. These were commercial spaces that I was building out as classrooms and offices, and that’s how I got my hands into real estate. Also, that business was cash flowing and I was a partner and so I was paying humungous taxes. There are years where I paid 53% of my income in taxes and so eventually, I realized that one of the best ways to defer my taxation, to reduce my taxation, was to invest passively in real estate and that got me started. But you know, what’s interesting, Bill, I started in reverse. So, from 2003 to 2008, I built campuses—these are college campuses—some as large as 30,000 square feet, where I would buy shell campuses and then do all of the construction, so I learned real estate doing the construction piece and during all of that time, I hadn’t bought a single—not one single family rental. In 2008, when everything crashed, and the market became a lot cheaper and the mathematics—and I’m a math guy, I’m a geek—the math was so compelling, so amazingly compelling, that I could not understand what all these people were talking about when they were talking about gloom and doom, because I could not see a downside. So, I went ahead and in a single city, in a single year, I bought 10 homes, because that’s the maximum you can buy in terms of traditional loans and the city is Madera, California, it’s 20 miles from Fresno. I still own all 10 of those properties, and I rented them out, and I was dazzled by the returns I was getting. Then I went to Chicago, maxed out my wife’s loans, bought 10 triplexes, so this time I ended up with 30 tenants, but when I was done maxing out her loans, I still had the ability to buy more because my properties were cash flowing. I wanted to reinvest that cash, I didn’t want to just blow it up on cars and homes. I’ve lived in my home for a long time. I love it, I don’t want to upgrade, I want to just build passive income. I was like, well, what happens when you run out of loans? Right? People run out of loans, you can get 10 and if you’re lucky, you can get 10 more for your wife, but what happens after that? That’s when I discovered multifamily passive syndication. During this time, I’m not doing anything active in real estate. I’m running my company, which is growing, and I’m building campuses. 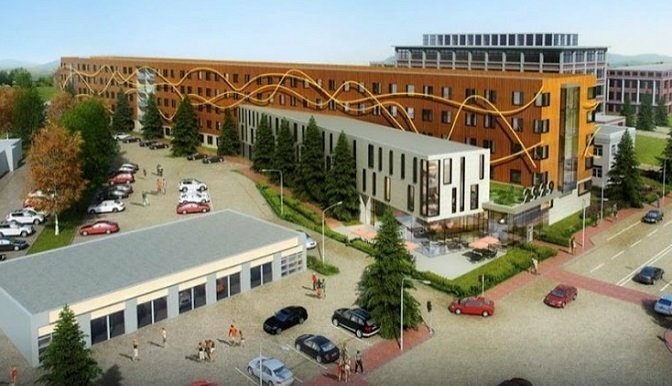 I discovered this, and I go, “This is really cool, I need to learn more about this,” and I started to invest with different multifamily syndicators across the U.S., different properties, some were hotels, mostly multifamily, but student housing as well. And as I invested in it, I started to learn more about them, Bill, because it’s in my nature to be nosey and curious about stuff, I started to learn quite a bit more and I would go into syndicators and say, “Well, I’m an investor in this project and I’m a passive and how often do you meet with your property manager? Oh, you meet with them every week. Have you ever allowed one of your investors to attend?” “Oh, no, nobody’s ever asked us that question.” I said, “Technically, as an investor, I have the right to oversight, correct?” “Yes.” “Okay, in that case, could I attend that phone call?” “It’s horribly boring, you wouldn’t want to attend it.” “Well, I don’t mind that. Could I please attend that phone call?” “Okay.” Because they knew that legally, they had to let me attend, so I started to actually dial into property management calls and started to pick some very interesting stuff from there, Bill. I started to learn, and I learned a secret, that all of these apartment syndicators—and these were all over the U.S., that I was giving $50,000 and $100,000 to, they were very good at some things, but the rest of the things they didn’t know how to do well because they were not in other syndicator’s calls. Some were good at buying, some were good at selling, some were good at rehabbing, some were good at managing property managers, but they were all—they all had pieces of the puzzle. But because I was going in and sitting into each of their calls, I was learning all of the pieces of the puzzle and it was awesome. I felt like I was empowered with information and very quickly, my feeling of happiness turned into terror that I’m going to forget all of this stuff. I’m like, if I don’t do something with this, I’m going to forget everything I’m learning and I’m learning great stuff. I don’t learn by writing stuff down. I learn by teaching. What I did was, I’m going to go open my own Meetup and I’m going to start teaching people what I’m learning, while telling them that I haven’t really done any of these things. I have not bought a multifamily, but I’m learning all these things from these syndicators. That process then led to that Meetup becoming bigger, me teaching more often, started to teach webinars and the audience started to become national, then started to teach multifamily bootcamps. All the time, running my business and preparing it for sale. Then finally, one day in 2011, a guy walked into my Meetup that I really liked, his name was John Mark Lando [phonetic], he’d been in this business, he’d done real estate syndications, and he came in and immediately realized that I had the skills that he as missing. I was running a company with 350 employees reporting up to me and so I had the operational and marketing skill that he didn’t. So, we started to partner and do projects. I was still working full-time and we started to do projects. We did one syndication and then two and then three and then four. The process of phasing out of technology and phasing into real estate for me was fairly long but also very seamless and it just sort of happened and I ended up becoming a multifamily syndicator. Before I knew it, we’d ended up with more than a thousand units, our portfolio is over $100 million. I know it sounds like a dream story and sometimes it feels like a dream, but it’s real. Bill: That’s an amazing, amazing story. I’m kind of flabbergasted because the idea of actually starting teaching multifamily when you actually had never really owned any multifamily—I mean, I guess you could say the triplexes were multifamily, but you were teaching syndication. That’s really interesting. Now, on this organization that you started, too, were the 3,000 people attending or was this online? I mean, tell me a little bit about the organization. Neal: Sure. I mean, Meetup.com is a place where people go to find local groups that match their interest. There’s Meetups for yoga and music and dancing and of course, real estate. I was never really interested in other real estate Meetups. I wanted to be specific to multifamily. So, my Meetup is called Bay Area Multifamily. All of our presenters are multifamily. The stuff that we teach are multifamily because I was fascinated by the scale in apartments. I’m a chief operations officer, right? So, think, what does a COO do? Our focus is to grow our companies and grow the revenue and profitability. How do you do that? You focus on things that have scale and you get rid of things that don’t. That’s your job. When I looked at apartments, I was like, well, this is the one piece of real estate where scale really matters, and I can set processes in place and those processes will work for 100 units, but they will also work for 10,000 units. I was really excited about that. When I started teaching, I wasn’t teaching syndication. I was telling people how syndication works from a passive investor’s perspective, because obviously I was signing up for all these syndications, so I knew the basics. But what I was telling people was, here’s what I’m doing at a triplex level and I’ve got 35 tenants in my triplexes and here’s how I’m running it as a multifamily that’s not in one place, it’s in a 10-mile radius and here’s the problems that I’m encountering. Then when we bought our first property, which was a bigger one, I think it was 237 units, I started telling people about those problems. People would come to hear me because I had no sales pitch, I had no product to sell, I had a story and that story was very interesting because most of the stories were bad stories. I tended to focus on here is all the things that went wrong and here’s some of the things that we did to fix them, because I was stumbling my way through this thing, and people really enjoyed that. When I started teaching the Meetup, I had a couple hundred members, 20 people would show up. Then within a few years, 100 people would show up and I was actually teaching inside of my business. I was telling people, “You’re standing in the college that I built, and this was the first building I’ve ever built. You’re standing in a classroom and this is the business that I’ve sold to enter real estate.” That really resonated with people because all the connections were there, they were standing in my past business. They were watching me migrate from being a passive to an active real estate investor, so I think the story resonated with people, so the group just sort of exploded and we started to add a couple hundred members a month and I think last count we were at almost 4,000 members. Bill: Wow. That’s a neat story. It sounds like it took off, it became very successful, you had an income that you needed to invest. Tell me about that process as an investor. Okay, you were looking for a place to put your money, to shelter it from the taxes and you landed on real estate. Were you diversified? Were you in other areas doing other types of investments or just gravitated toward real estate and really, that was the focus of your investing efforts? Neal: I did quite a few others, but I didn’t get the sense of the sort of quality of teams and the professional metrics-driven process that I got in multifamily, or I should say in large multifamily. When I was working with syndicators that had thousands of units, they had, and now I have, professional, full-time project managers. Professional full-time underwriters who do property analysis, professional full-time operations directors and operational staff. That allowed the property managers to always be held in check. You’re supervising them at a very closed level and not allowing them to kind of waste their time away on other properties, they have to focus on yours. That level of scale I only found in the multifamily area. I’m invested in gas stations. I’m even invested in technology companies, but they lack the scale. Over time, I just focused on passive investing in multifamily. One of the things that I discovered, Bill, is that some of these syndicators themselves were not data driven. They were good. They knew what they were doing. They were making money for their companies but when I asked them questions about what is the specific reason that you’re only investing in Houston? What is the only reason you’re only investing in Dallas? The answers were very flaky. The answers, if I could paraphrase them, were simply, well, we’ve always been here so we know the market and we have connections. That’s not a good answer. I was looking for answers like, “Well, we’ve studied 80 cities in the U.S. and these are the five or six metrics that we look at when we’re trying to determine the quality of cities. These are the metrics that we look at when we’re trying to determine qualities of neighborhoods. Then we exit the city at this point and enter the city at that point.” That, to me, seemed the way that we do things in technology. We’re not tied to a particular area, just because it’s local to us. As I started asking those questions, I started to teach an event because I felt that a lot of these syndicators were lazy. They were investing in markets because they knew those markets well, but they weren’t spending the time to figure out the best and the worst markets in the U.S. So, I said, I’m going to figure out how one can figure out the best and the worst markets in the U.S. and where is that data? How do you look at that data? How do you slice it? How do you dice it? How do you use that data for multifamily? Early on, I started teaching an event, which is now my most popular events, I get about 2,000 people a year that come to the event. It’s called Real Estate Trends. I teach it once in a year, so right now, it’s 2018 Real Estate Trends. That event really changed the way that I did my syndications and my projects because everything became data driven. Once you’re telling 2,000 people a year, this is exactly how I’m finding properties, how I’m finding cities and neighborhoods, then that’s the process you have to follow. You’ve locked yourself in. I became known as the Data Driven Syndicator and the vast majority of the 240-odd investors that invest through me into properties, they do it because they like my data-driven approach. They like the fact that I’m able to say things like this—and some people find this horribly geeky, Bill—I say stuff like, “I like Orlando because it has a 3.3% job growth rate over the last 12 months. Home prices have gone up 9%. Population growth is very high, so it’s about 2-1/2%, and income levels are keeping more or less up to home price increases, but not quite, so income levels are growing, which is great, so 3% income levels, but home prices are growing by 9%.” That gap, that 6% gap is where an apartment syndicator comes in. Because sooner or later, every single month, as home prices rise, there are going to be some people that can no longer buy and that is the market that I’m addressing as a multifamily syndicator. I didn’t like the fact that none of these awesome syndicators would ever say stuff like that. I said, “I’m going to be the one that can slice and dice every metro in the U.S. and tell you which ones you should be investing in, and when, and that turned into the Real Estate Trends Event. Bill: That’s fascinating. Now, as a techy guy though, I would imagine that you’re tapped into this data either through some software program or something that kind of links everything together and creates your matrix. Is that the case. Neal: Yes, but I also teach you how to do it manually, so I teach a bootcamp for people that actively want to buy multifamilies and rehab them and I teach them how to find the properties, what are the best cities, what are the best neighborhoods, how to find property managers, how to raise money, the whole process. The entire process of multifamily is something that I teach. Now, in that bootcamp, I pick a good city and a bad city. I picked Columbus, Ohio as a good city. I picked Detroit, Michigan as a bad city. I actually walk them through what I just mentioned. The population growth piece, the rent growth piece, the job growth piece, the income growth piece. I walk them through that, through publicly-available data that you don’t have to pay a cent for and it takes about two hours in a lab in the bootcamp to go through that process. So, I buy data from four different providers. There’s a provider called Housing Alerts, and that’s about $1,200 a year for a U.S.-wide subscription. Housing Alerts, a guy named Ken Wade, Harvard graduate, brilliant statistician, he ranks cities and neighborhoods in the U.S.
Bill: Yeah, I’m familiar with Ken. Neal: I then match that data up against Local Market Monitor, LMM, that’s LocalMarketMonitor.com. Ingo Winzer is the CEO and is a friend of mine and teaches webinars for my students. He has a similar product, very similar in quality, just a little bit cheaper, about $900. Then the third product that I use is called Neighborhood Scout, which doesn’t rank cities at all. In fact, gives you no information about cities, but ranks neighborhoods within a city. Very small areas, very small neighborhoods, and it gives you everything from crime statistics to an investment-grade ranking from 1 to 5 and tells you what your risk level is in investing in specific neighborhood. Then the fourth piece of data that I use—the first three pieces are cheap enough so that most people looking to buy even a single-family home to rent or to flip should be buying this. It’s within your price range and they will pay for themselves in a matter of days. The fourth piece is for professionals like me that buy multifamily. It’s very expensive, it’s called CoStar and it’s $32,000 a year. CoStar owns LoopNet, they own Apartment.com, and they put over 500 million pieces of data into the software every year, so once my students start buying properties, I encourage them to sign up for the CoStar subscription. When I teach trends at the beginning of the year for each year, I’m looking at these four and I’m trying to figure out the patterns between them. I am not going to pick something from Housing Alerts if it doesn’t show up in Local Market Monitor. I’m not going to pick something in CoStar if it doesn’t show up in the other two. I’m trying to look for the ones that are common and then I rank metros in three buckets. The fix-and-flip bucket, the price growth bucket, which is appreciation, and the rent growth bucket. Now, it’s extremely rare for a metro to be in all three buckets at the same time, that’s just not how real estate works. For 2018, one metro in the U.S. was in all three buckets and that was Sacramento, California, which is benefiting from the fact that people are fleeing the San Francisco Bay Area because of high prices, but other than that, it’s very rare. But I usually look for metros that are in two of those three buckets and I don’t care about fix-and-flips. I don’t do fix-and-flips, so I don’t really look at that category, but the rent increase category and the price increase category, if you see metros on both sides, you have just cheated. You have done something better than 99% of real estate investors in the U.S. You are ahead of everyone else. Metros, high-quality metros like Dallas, Orlando, smaller metros like Ogden, Utah show up in those lists and that’s amazing opportunity. You’re really gaming the system when you’re able to pick that information up once in a year and use it for single family or multifamily. Bill: Now, that’s sort of my question here. Is that data interchangeable from single family to multifamily, in terms of rent increase and in price increase? Neal: It’s actually awesome for people like me, on the multifamily side. Here’s what happens: Nobody really wants to live in an apartment. People want to either buy homes or they want to rent homes, right? Those are the two brackets. Usually what happens is in a metro, you see huge price increases, right? When you see price increases, for a while, you won’t see the opportunity for multifamily, but eventually what happens is prices are increasing at 9% a year, incomes are increasing at 3% a year, so a gap is opening up. Multifamily, the data works, but it lags single family, which is great for me. Ken Wade says, “All of my subscribers are single-family people, but the people that should be subscribing to my data are the multifamily guys, because they get an 18-month advance knowledge of which metros are going to be hot.” If you study single-family price increase, you’re going to see multifamily opportunity 18 months later. Bill: Interesting. Now, when you’re looking at a market, is there sort of a process of elimination? For example, you go in there first looking at population growth and then after you find the top in population growth, then you kind of overlap that matrix with job growth? Do you kind of take it methodically like that or do you look kind of look simultaneously? Neal: A few things: We’re not trying to find the best market in the U.S. because there’s not enough inventory in the U.S. in 2018 for you to pick a market. You’re trying to pick a bucket of markets. What I tell students is, I want you to pick some markets that are very high quality and some markets that have high inventory. There are markets that are good quality and have high inventory, so when I’m looking, I’m also looking at how many listings there are in every market in the U.S. If you want to know good quality markets that have good inventory, Las Vegas and Columbus, Ohio are two markets that have open inventory and are good markets. Why? Columbus, 17% increase in population since 2000. Columbus is seeing spectacular income increases. It’s over 40% increase in home prices since 2008. When you see those kinds of trends and you still see a market that has inventory, you have to add that to your list. It may not be the best, it may not be in the top 5%, but you’re still going to be successful in a market like that. In that category, you’ve got the Las Vegas, the Phoenix, the Columbus, Ohio, those sorts of markets. Then you also look at the best markets in the U.S. Right now, at this point in time, the best markets in the U.S. are Boise, Idaho, Tacoma, Washington, Utah. Almost any market in Utah, St. George, Provo, Utah, Ogden, Utah, Salt Lake City, Utah is just in a fantastic time where GDP increases are spectacular. They’re still not too expensive, so people can afford for there to be price increases for the next five or six years without hitting any kind of ceiling. But yes, you are right. I start with population growth. To me, I am yet to see a high-quality market in the U.S. where population is stable or declining. I have not seen one yet. Now, there are instances where population growth is slow. In certain markets, they’re great markets but population growth is slow. It’s quite uncommon though. But most of the time, population growth is the quickest way, that’s five minutes of research on the web to figure out whether you should be looking at a market like that. A market like Detroit, that’s very heavy population losses, except for the last year, the last 12 months, very heavy population losses for over 50 years. I would not touch it with a 10-foot pole because I’m not willing to bet that this is the one time that Detroit is turning around. People have been saying that since the ‘60s, that it will turn around. Remember, one-and-a-half million people in the ‘50s, less than 500,000 today. People have been saying that for 60 years, they’ve all been proven wrong. I don’t want to be the guy that bets my investor’s future on that. If it doesn’t have population growth, I just tend to ignore it. If population is stable, if all the other numbers, remember? What are we looking at? We’re looking at rent increases, home price increases, income increases. If those three are stellar and the population is stable, it’s definitely still worth looking at because it’s a market that’s going to have some bargains because the population growth is not there. But because the other three numbers are stellar, population growth is assured in the future. People will follow the jobs. If it’s not growing yet, it will grow in the future. Bill: Interesting. Some of the markets you’ve zeroed in on, I know Ken as well, he’s got some great data. I love how he goes into the secondary tertiary markets as well. Recently, heavily in Washington State, Oregon, like you said, Idaho and Utah, but like Seattle, prices are crazy expensive. Do you factor in things that are more affordable or maybe a little bit less competitive areas? Neal: Not really. Seattle is one of the best markets in the U.S. in my opinion. But for a fix and flip. If you want to do a new construction that has a 24-month window, Seattle is the place to go. If you want to do fix-and-flip, it’s the place to go. But at this point, having appreciated so much, it is not going to be able to maintain its appreciation curve. The question is not which is a good market, the question is, why are you investing in it? Are you investing in it for rents? Are you investing in it for price appreciation? Well, if you’re investing in Seattle for a fix-and-flip, it’s a huge market. The only market in the U.S. that will make you more money on fix-and-flips, if you know what you’re doing, is the San Francisco Bay Area. But if you’re investing in it for price appreciation, it’s done at this point. Rent appreciation, it still has some of. Why? Because rent appreciation always trails price appreciation. Seattle still has the ability to look at for rent appreciation. It will not cash flow well. I know investors that are not focused on cash flow, they’re focused on buying properties in good areas for the long term. Yeah, they can still go into Seattle. They’re not going to get a lot of cash flow. I don’t want to simply say stuff like, “Seattle is done,” or “It’s expensive,” because the truth is, there’s a lot of great reasons why Seattle is doing well. It’s not one company. Boeing is hiring, Amazon is hiring, Groupon is hiring, Microsoft is hiring. All of these companies are accelerating their hiring. I look at office data and there’s no inventory available for offices so companies are not just hiring, they’re looking to hire again in the future because when they’re renting office space, they’re projecting future growth, growth over the next two or three years. I think Seattle remains strong, but I think the price appreciation story is just about done. Bill: Interesting. Now, just as we’re looking at the market as a whole for 2018, one of the things as an investor in multifamily and also looking to syndicate, one of the things that I know plenty of people are encountering is just the competitive environment out there, the institutional investors, the foreign investors coming in and making it really difficult to find the great sort of off-market deals like a couple of years ago, you could find a little bit more easily. What do you see in terms of trends in that regard to, you know, access to the availability of those types of deals? Neal: Honestly, I don’t have any secret sauce when it comes to finding better deals than others. The truth is, it’s almost every decent property goes on the market these days because the broker knows that he’s going to get more offers and better offers when he lists a property than doing an off-market property. In 2018, off-market is a very, very small source of good properties. I think that what you have to look at is growing your efficiency in managing a property. That’s where the gains are today and if anybody says that they’ve still got a great source of off-market inventory in 2018, whether it’s multifamily or single family, I’d love to talk with them, especially on the multifamily side, because I don’t see that as being the case. I think that it’s—on market properties, it’s about your ability to negotiate good terms when you’re buying the property, but I think the magic is—you can’t pay under-market today, you’re going to pay market—the magic is about managing those properties better. When I teach my students, I talk about how every property, there are tons and tons of knobs to push and buttons to push that can optimize the property further. Today, if you want to get your investors 20-plus percent return, you have to push those knobs. For those that are passive investors, only for accredited passive investors, I teach a secret sauce webinar and I teach it once in a month. People come in and I actually open the kimono and I show them my properties and I show them what my secret sauce is, and I can tell you in short, the secret sauce is, if you can optimize your properties through marketing, if you can raise rents by $25 above market and you can raise your occupancy by 2% above market, you can still hit 20-plus percent returns. I show people exactly how my company does that in real time in that webinar. I think it’s an operational thing right now. Finding deals at the moment is a lower priority for me than taking a decent project at a decent price and then optimizing the heck out of it. Bill: That’s great. Well, it’s really neat that you have a very interesting perspective. You came in initially as a passive investor and how you now are a syndicator and you own properties, looking at that background, what would you say was your biggest mistake in moving forward in this area? Neal: My initial properties, especially the first one, I did not apply any data analysis. I basically believed brokers, I believed my partners, and honestly, no one had done the research. We ended up in a property in Chicago that was in a very rough neighborhood and I applied all of my marketing strategies to fill it up. I was successful, signed 200 leases through a marketing team that I built in the Philippines and India. 200 leases in a year and I thought I had nailed it. In the end though, that didn’t work because a huge percentage of the people that we put in were low-quality tenants and I had 50% churn. Here’s what I learned: Despite the fact that I can have armies of people in the Philippines and India leasing up my properties three times as fast as anybody else, I’m still subject to the demographics of an area. The one thing that I couldn’t get beyond in the realm of multifamily was the demographics of an area. That’s when I determined I have to become an expert in demographics. If I’m buying in a good area, I will buy at a price higher than other people and then I would optimize the heck out of it because then I can make that money. But if I’m buying in a very rough area, an extremely rough area, no matter what I do, no matter what marketing I apply, no matter what buttons I push, the attrition, the delinquency, always defeats you. That was a big lesson that I’ve learned, so I’ve been very careful about where I buy my properties. Bill: That’s great, great advice. But I have to deviate again because I have to find out how you get armies of people in India and the Philippines to lease properties. I’m very curious about how you do that. Neal: Well, you know my background is technology and in our company, we’ve always used off-shore resources and then I came into real estate and I started asking people, why doesn’t anybody use off-shore resources? They say, “Yeah, sure, sure, everybody in real estate uses off-shore resources.” What they were talking about was assistants that assist with menial tasks. Neal: Yeah, VA’s. I wasn’t interested in that. I was interested in having off-shore resources be part of the core team. So, I went out to the Philippines and India and basically started building resources there. For example, for this property that I was telling you about in Chicago, when you dial that 773 local number, you’re actually going to the Philippines. Why is that important? That’s because the efficiency that that delivers it 2 to 3 X the efficiency of a property. If it’s a 250-unit property, you have 1 leasing agent and that leasing agent works 40 hours a week, but they’re showing the property 20 hours a week. They’re calling landlords to verify employment, they’re doing a lot of tasks. They’re not picking up the phone more than 15 hours a week, but the phone is not ringing 40 hours a week, Bill. It rings 60 hours a week. So, by redirecting all incoming phone calls to the Philippines, I was able to raise efficiency. At the property, you’re paying $22 an hour to the leasing agent so they make one follow-up by text and one follow-up by phone and then they drop the lead. In the Philippines, we make six follow-ups. Also, the quality of a lead declines to half within one hour of the form fill. Why? Because they never fill out one form on the internet when they’re interested in being a tenant of yours, they fill out six. And the first two phone calls they answer, after that, they stop answering. The team in the Philippines processes leads within minutes instead of processing them the next day, because next day, that lead is worthless. By doing that, we’re able to process 3 to 5 times the leads. I also teach this in a webinar. I have a webinar that teaches how to use virtual assistants and we’ve managed to figure out how to hack—not in a bad way—but maximize the eyeballs that we get on all of the different listing engines, whether it’s Rent Links or Apartments.com or Craigslist or Rent.com, we’ve optimized that by using staff in India that is continuously refreshing our listings. We’re receiving, on certain properties, 10 times as many renter leads as the property was receiving before we purchased it. None of those leads will do us any good if we couldn’t process 10 times as many leads. Having the team in India to market is not as important as having the team in Philippines to process it. We actually go into the property management software and we set appointments for those people. The Secret Sauce Webinar goes into kind of more detail on this and actually shows you how we do it. But having those teams is huge. People say, “That must reduce your cost and the short answer is: In all the years that I’ve had teams in the Philippines and India, I have never managed to save $1. The goal is not to save $1, because the savings are menial. They’re nothing compared to gains that you can get by raising net operating income because of the magic of cap rate. When I create one new dollar in profit by either raising occupancy or raising rents, on the flip side, when I well a property, I get $15-20 from the buyer and that is what cap rate really means. A cap rate of 6-1/2 means that the guy that buys the property will give you $15 for every additional dollar of revenue that you created. So, I never try to save money. I’m just looking to optimize my properties. 2% higher occupancy, $25 higher rents, that will almost certainly double your investor’s money in 4-5 years. Bill: Fascinating. The folks that are processing these, are they qualifying the leads, too? Making sure that these people are even the type of people you want to have in your building. Neal: Yes. We have a very extensive qualification process that varies by metro. Every property—because we have metros in seven different states, so the staff in the Philippines is usually assigned to a particular property. Qualification is a key part of their job, yes, absolutely. Bill: Interesting, gosh, that’s really neat. It’s even more telling when you say even though you did that, and you got tons of folks in, it’s still the market and certain people are only going to go to that market, that totally affects your investment as well. Bill: Obviously, you’re bringing more volume to that leasing agent. Did you have to retrain or hire additional leasing agents to make that happen? Neal: We’ve had to retrain the on-property leasing agents because we’re not trying to replace the on-property leasing agent. Someone still has to show the property and we’re booking three times as many appointments as anybody else, so it’s not like they’re less busy, they’re more busy. Neal: But the agents in the Philippines are very, very highly trained, but imagine that they’re doing—they’re processing leads for one property. They become experts in a matter of weeks. It’s just because they’re answering the same questions over and over again 20 times a day. You get to be an expert very, very quickly on that property. Not a lot of training that needs to be done. The challenge with the Philippines is low stay time, so I’ve consistently been overpaying them. Overpaying in the Philippines means 6 bucks an hour. But the quantity of those people is astonishing because we’re taking them from AT&T and T-Mobile call centers and they have 10-plus years of experience. They’ve gone through everything from customer service training to accent training. Now they just want to work from home as opposed to fighting four hours a day of Manilla traffic to get to an AT&T call center and that’s our target audience. We’re working with extremely high-quality people. We don’t call them virtual assistants. They are part of our team. They are a core part of the team. Bill: Conversely here, what would you say your biggest success has been so far? Neal: I think my biggest success has come from understanding something that everyone in commercial real estate, everyone in multifamily should understand. If I talk with somebody, I’m talking with other people in multifamily and I mention cap rates, they get it. They know the concept of cap rate is that it allows you take a dollar of revenue and multiply it, but I do not find that these people, the vast majority of them, are really applying that to every property and every project within that property. Let me give you an example: We go into properties and we look at parking. Everyone says, “Well, we’re selling parking, so maybe it’s a 250-unit property and you have 40 extra slots that you can sell, because they’re covered parking.” You’ve got 40 slots and you can sell them at $25 a month. That’s $1,000 a month, that’s $12,000 a year, and at 6-1/2 cap, that’s $180,000 in profit for investors. Not only can you give your investors $12,000 a month more in cash flow, when the property sells, you’re giving them $180,000 in profit and all of that comes from these $25 parking spots. Because $25 is so small a number, I find that not enough people focus on it. In my mind, my greatest success is that I can look at a problem and immediately calculate the amount of profit that I will make when the property sells and to me, a small number becomes very large very quickly and I’m able to assign resources to it, where other people are not able to do that. I’ve always been able to do mental math in my head, I was taught in India, and that has been huge because I can take tiny little projects, assign resources to it that the property manager would never be able to assign. I have understood that we don’t pay them enough for them to assign resources to these little things and I’ve been able to assign other resources, whether they’re in the Philippines or India, because I know that it makes sense to assign that staff because the multiples that I get are so huge that I can’t possibly lose. While people say this, I don’t see other syndicators actively following this thought process. Bill: It’s really that whole optimization focus just sounds like it’s a big winner. Neal: It is, because, I mean, optimization works 100% of the time. We are in an extremely expensive market, everybody knows that. The folks that are saying that we have connections, we have brokers, I’m not sure they’re telling the truth because I have connections and I have brokers. I have 1,000 units that I’ve purchased, but nobody is willing to sell me properties 10% under market. The truth is, today, you buy market properties and what I love about optimization is that it works just as well in 2018 as it did in 2011. It’s a real competency that you get to keep. It works for any property anywhere in the U.S., any size, any metro. That’s what my focus has been on operational excellence, as opposed to saying that I’m going to go find some secret properties that nobody knows about. Bill: I like that. Well, you know our audience is primarily folks that are 50 years of age and older and these are folks that are approaching retirement, some already in retirement, and they’re really sort of looking to either fill the gap, they just don’t have the funds that they thought they would have, maximized the investments they do have so that they’re getting the kind of return that will support them through their retirement years. There’s some that just want to actually just start buying properties. What would your advice be to folks that are in that camp right now? Neal: Come to MultifamilyU.com, that’s my website. Bill: [Laughs] That sounds like a sales pitch. Neal: And watch the Real Estate Trends. I’ll tell you all the markets in the U.S. that I’m investing in. You do not have to pay me, it’s a free webinar. Watch the webinar learn what people like me are doing. At least it will direct you to the right cities. Now, if you want to learn at a neighborhood level, I already gave you some of the secrets there, NeighborhoodScout.com will help you. If you want to learn the specifics of it, attend my Multifamily Bootcamp. It’s a no-pitch bootcamp, it’s all about learning, it’s under a thousand bucks. Your first property, your first multifamily should make you $100,000 a year, so it’s worth investing under 1,000 and 6 evenings of your life to learn that. But don’t do that if you’re not willing to get into the weeds. Multifamily active investing is for people that want to put in the time and the effort. It is not passive investing. Passive investing is something that you can find in the single family arena or by investing with syndicators like me that will send you a long monthly report to read and that’s the extent of your involvement. If you’re looking to do multifamily, you have to be able to roll up your sleeves and get down in the ditch with your property manager and fix problems and create value by improving properties. Bill: What size multifamily would you recommend people start with? Neal: When I’m teaching the bootcamp, I usually have 60-70 students and I tell them, if you’re new to multifamily and you haven’t done a lot of single family, 5-30 units. If you’ve done a lot of single family, start between 30 and 100 units. If you have enough investors, if you have connections with equity, then start at 80 because at 80, you have a full-time person at the property and that’s a big advantage because you’ve got a person that you can call that is at the property, works at the property and is at least there from 9 to 5. Bill: Great advice. What about your current business? Where do you see things going? Neal: We see things slowing, Bill. I think that so far, what we’ve seen in the last 18 months has astounded me and has proven me wrong quite a bit. The truth is, multifamily and stock markets no longer obey the rules of money. The rules of money, which have been in effect since the 1930s when we changed our financial system, simply state that when interest rates go up, cap rates have to basically go up with them. Cap rates have to go up which means home prices have to go down. That should apply for single family, that should apply for multifamily, it should apply to the stock market. In the last 18 months, the Federal Reserve has raised interest rates 6 times, that’s a 1-1/2% increase and we have 0 impact. 0, nada, nothing to cap rates. Apartment cap rates continue to decline. A year and a half ago, I started getting very interested in the impact of quantitative easing, or QE, on real estate, what it had done to warp real estate markets and in some ways, the stock market as well, but more so real estate. What I realized was that our Federal Reserve pumped in 4 trillion—4,000 billion dollars—into the market between 2008 and 2011. That money is searching for yield because it’s not real money, it’s paper money, but it must have yield. The problem is, the bond market produces almost no return, so that money is sloshing over into the commercial real estate markets, into single family real estate markets and into the stock market. Because these markets produce a lot more than bonds do, real estate no longer obeys the rules of money. Until this money is withdrawn from the market, this fake money is withdrawn from the market, our historical cap rates are a very silly way to calculate what will happen to real estate. It is actually possible for real estate prices to go up another 25 or 30%. People say, “That makes no sense.” It makes all the sense in the world, Bill, as long as the yield is 5-6% because bonds are only yielding 1-2%. That $4 trillion will go anywhere and everywhere to look for yield, but there’s nobody withdrawing that money from the market. The European Union continues to add money. China and Japan continue to add money. We stopped, but we’re only withdrawing $10 billion a month, at which rate it will take us, I don’t know, 25 years to withdraw the money? So, until I see that money go somewhere, I’m bullish on real estate, even though it’s a very expensive market. Bill: Great insight, thank you. Well, this interview has zipped by and it’s a shame because I have like 5,000 more questions [laughs] but just like—I guess I’ll have to go to your seminar, I know what you’re going to say. But before we do that, we have what we call our wrap it up session where I ask you a series of quick questions to get resources that you’ve accessed, that you recommend to help our folks in expanding their knowledge. If you’re ready, are you ready to wrap it up? Bill: All right, let’s start with the first questions. Favorite real estate book? Neal: Dave Lindahl’s, Multi-Family Millions. Bill: Yeah, like that, too. Favorite business book? Neal: The 4-Hour Workweek by Timothy Ferriss. I love that book and my entire Philippino system is based on that book. Bill: Really? Interesting, okay, great stuff. Most valuable website for success? Neal: Upwork.com. Also tied to virtual assistants. I have three full-time assistants and I feel that I actually have about 100 working hours in a day. Neal: Mint. Mint.com. Marvelous app. Bill: Yeah, good one. Favorite quote? Bill: That’s is great. I’m glad you added the explanation behind that, too. That’s valuable. Thank you. Is that your own quote? Neal: It is. Invented here. Bill: All right! [Laughs] I love it. Okay. This one is sort of our tough situation question here: You lose everything, absolutely everything, every asset, every home, vehicle, everything. All you’ve got in your hand is what you own and that’s $1,000 in cash. What would you do with that $1,000 to try to rebuild your businesses, your net worth and so forth? Neal: I would help the people that have the highest urgency. In my mind, the people that have the highest urgency are the people that have 1031 money and they’ve already basically sold their property and they’re within that 45-day window. For people that don’t have money—and that’s the case that you’re discussing—those people have a very high sense of urgency. I’d go to the local Meetups and tell people, “If you have a 1031 and you’ve already sold your property and you’re looking for the new property, I can help you.” I think that you can source properties for those people. They’re not very discerning, they’re in a hurry. You will be able to make good commissions from that. I certainly think you can make more than you would make from a fix-and-flip because this is just a process of sourcing, where a fix-and-flip requires you to actually get involved in the rehab. I would do that and make that little niche for me. To me, 1031 is a phenomenal niche. Bill: That is the first time I’ve ever had that answer. That’s a great answer! I don’t know where you’d find those people because it’s a pretty finite group. They’re all over the place. Neal: Well, I’ll tell you exactly where you can find them. In any city in the U.S., there’s at least a half-dozen Meetup groups. Go to the Meetup groups, right before they begin, they do a section called “haves and wants.” Stand up and say, “If you’re a 1031 investor, you’re in your 45-day cycle, I can help you.” At each event, you’re going to find one or two people. They will just walk up to you and introduce themselves. Bill: That’s a great idea! [Laughs] I love it. All right. Well, I’m sure there’s a lot of folks listening that want to tap into your knowledge, your resources, and the things that you’re doing, find out more about your company and so forth. What’s the best way for folks to reach you? Neal: Well, my website has my phone number. I love talking with people. Go to MultifamilyU.com. The best place to start is MultifamilyU.com/webinars. There’s a series of webinars there, including the Real Estate Trends one. There’s one called Multifamily Fundamentals, which in 60 minutes goes through the entire life cycle, the five-year life cycle of a multifamily property. There’s also one on my website that is for people that are interested in macroeconomics. It is called The Amazing Story of How the Banking System Changed Real Estate Forever. Study those, if you like my philosophy, connect with me or show up at one of my bootcamps and we’ll go from there. Once you connect with me, you will be in my database and if you’re an accredited investor, reach out to me. That way, when we have an opportunity for a multifamily, it happens three times a year, we will share that opportunity with you. Bill: Great. Well, Neal, this has been a very, very educational and information—I like that you talk a little fast, you got a lot of information in a short period of time and I think that’s—our listeners are going to appreciate that quite a bit. Neal: Oh, yeah! I’m looking forward to this. I’ve been practicing. Bill: [Laughs] Right! Well, Neal, give us your best Old Hound Dawg howl then. Bill: Ooh, that was good. Neal: It is. I was thinking about that, but oh, well, I don’t know what the difference is. Bill: [Laughs] Well, thank you, Neal, for coming on and sharing just your wealth of information and I’m sure folks, especially with all the great links and additional information you provided there, they’ll be able to expand that information even further. Thank you again for coming on, Neal. Neal: You’re most welcome, Bill. It’s fun to do these kind of things. Bill: Great. Well, I also want to thank all our Old Dawg listeners out there, too, for joining us. I know there’s a lot of other things you could be doing right now, but the fact that you’ve taken the time to join us means a lot and we great appreciate it. Please note, everything presented here today, as I just mentioned, all the links that were referenced by Neal, the things that we talked about will be outlined in our show notes section at the Old Dawg’s website, at OldDawgsREINetwork.com/blog. Look for the episode with Neal Bawa. Well, that’s the show for today. Remember, cash flow is king in real estate investing the means. Until next time, keep moving forward and may God bless. Announcer: Thank you very much for visiting the Old Dawg’s REI Network. We would greatly appreciate if you would stop by iTunes and let us know what you think of the show. We would love if you could subscribe to the podcast, give us a five-star rating and write a review. The more ratings and reviews we receive, the more visible the podcast will be to others. Thank you.